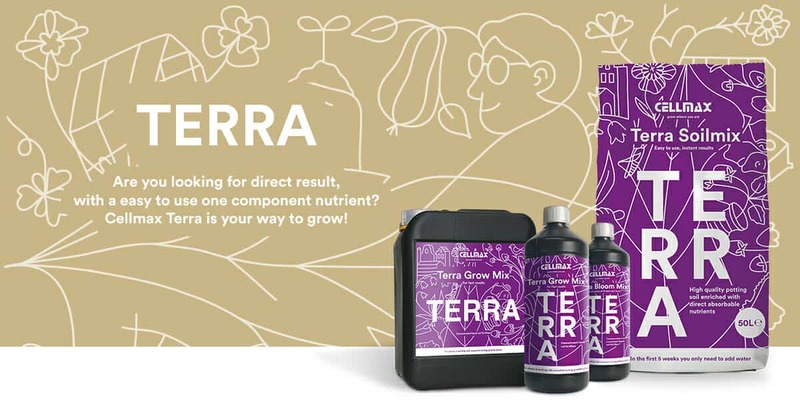 Terra Growing, Easy growing and immediate results! Easily grow on potting soil with the renowned Cellmax Universal Soil substrate. This potting soil has been specially developed by Cellmax and contains the best types of peat. It contains all of the nutrients needed by the plant for the first 6 weeks of growth. Simple to use, all you need to do is water! The pH value of this soil mix remains almost constant throughout the complete plant life cycle and after the first 6 weeks, you can easily add the Cellmax single component fertiliser Terra Grow Mix and Terra Bloom Mix to the mix. These mineral-based nutrients have been developed so that you see results from the very first drop. Cellmax TERRA Mixes are thé one component mineral liquid fertilizer concentrate, developed with the guiding principle to fast results. Terra Grow Mix is a one component soil fertilizer especially for fast growing plants and vegetables, it contains directly admissible nitrogen, which is necessary for the growth of your plant. 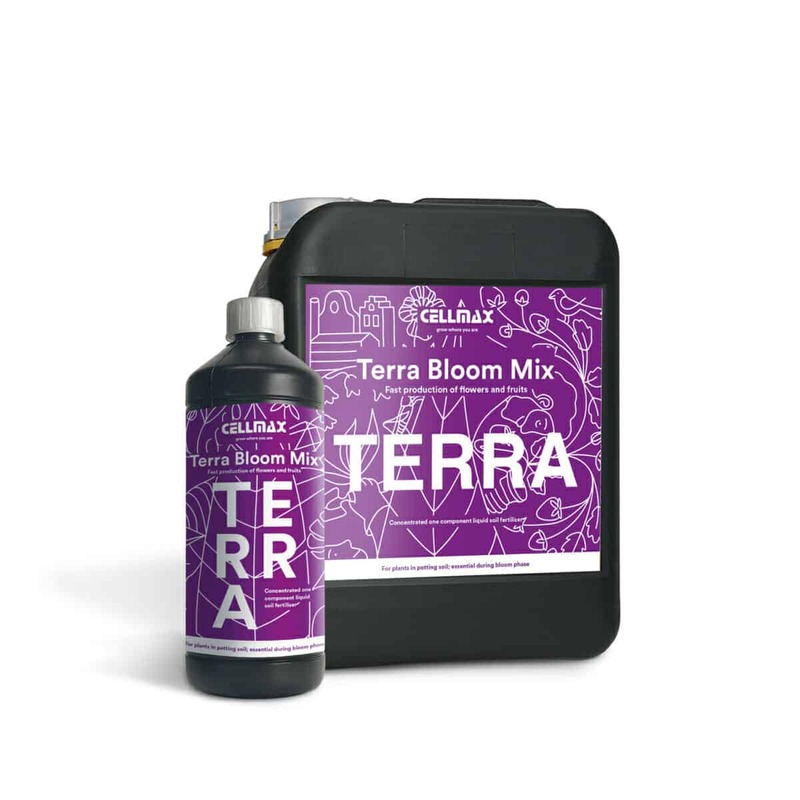 Terra Bloom Mix is a one component soil fertilizer especially for the bloom phase, with extra Phosphorus and Potassium. Cellmax has developed these products with a sophisticated N.P.K-balance for fast growing plants, which grow on soil. The Cellmax Terra mixes are suitable for indoor growing as for outdoor growing. The Cellmax Terra mixes work the best with Cellmax Universal Soil but they also work great on all other kinds of soils.